These gorgeous slim line pens are perfect for all sorts of drawing, painting and crafting. 12 Slim Line Marker Pen with water based, non toxic ink and a Japanese quality nib on both ends. 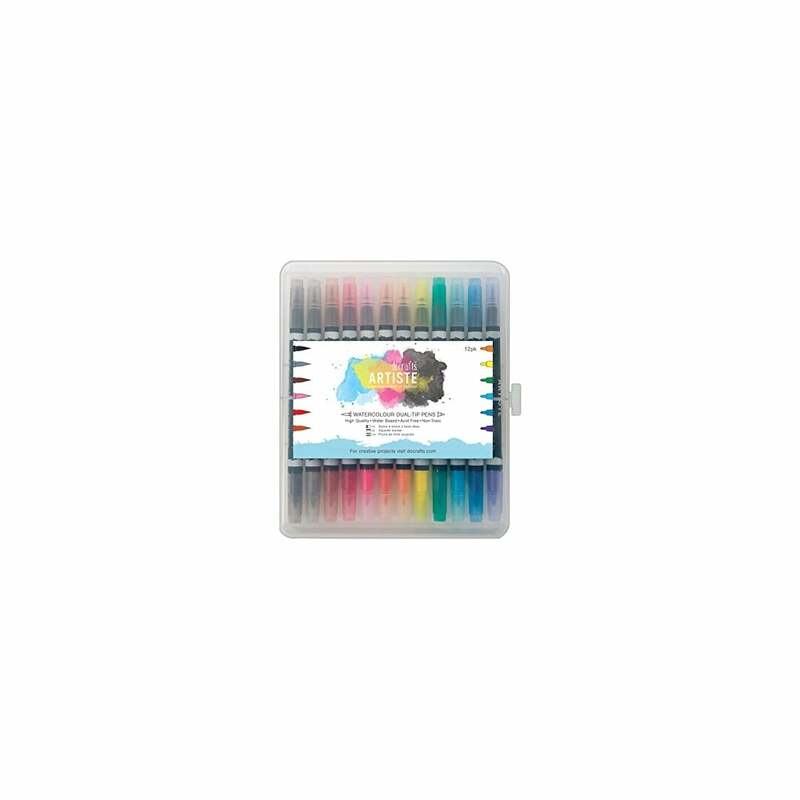 Docrafts Artiste Watercolour Dual Tip Pens Brush and Marker are quick drying and will work with ink stamps (rubber/urban). Brush tip at one end for fluid lines, painting and blending. Marker pen with a fibre tip for consistency on the other plus great for journaling and colouring. Vary pressure to alter thickness of line.